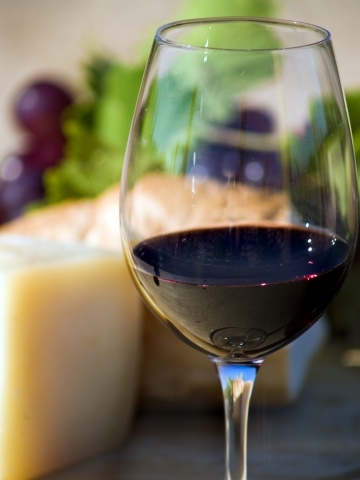 Santa Ynez Valley Wine Tours: Great Tips For Your Wine Tasting! When it comes to California, it has many amazing things to offer. Beautiful rolling hills in the countryside, amazing mountains to ski in the winter, and incredible cities to see all the sights. One of our favorite parts of California’s wine country, located in Santa Ynez Valley, is wine country It has a breathtaking countryside backdrop, delicious wine to try at many different wineries, and lovely people to educate you about why Santa Ynez is a wonderful place to visit. We at Silk Road Transportation, think you should definitely go on one of the amazing wine tours offered in our wine country. Sit back with your friends, enjoy yourselves, and we will cover the rest. We always make sure when using our transportation service you get to your destination comfortably, quickly, and efficiently. We wanted to give you some more proper etiquette tips on how to drink wine like pros. Taking these notes will help you remember which wines you liked and which you didn’t. You can do whatever you like, but a rating system is a nice way to keep track. You can use happy and sad faces, one through ten, or not very good to the best thing ever! In our last blog series, we went over things to expect on your wine tour. We explained that it’s good to know what type of wine you like beforehand, to make your trip a little easier. With that being said, do try new things. Even if you are a die hard pinot grigio fan, go after some reds. It’s not going to hurt the wine experts feelings if you don’t like it, but this will truly be the test to decide that you really do hate merlots. Spittoons may be a weird concept for you, and that’s ok! If you don’t like a particular wine you are trying, it’s not a big deal to use the spittoon. It may feel weird at first, but it will let you be able to consume the wine you want, and not fill up on the wine in which you are not a fan. These tips will make you a professional wine taster in no time. Check out our beautiful wine country in Santa Ynez, and enjoy our luxurious car service as well. We have the vehicles you need for every wine tour, so hop in and enjoy the ride. Check back for our next blog: Wine Tour Tips For You In Santa Ynez: Part 2!